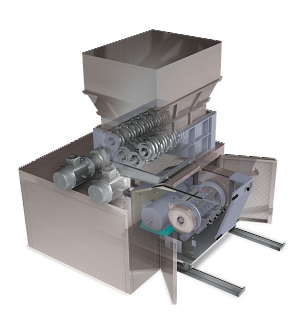 The Combi Shredder integrates leading shredder and granulator technologies into a single compact package. Innovative control systems provide users with all of the information needed to ensure a reliable size reduction operation.The rugged design of the equipment makes the Combi the perfect choice for some of the most demanding size reduction applications. Advanced control mechanisms and interlocks ensure safe and dependable operation even in the most demanding of environments.